Welcome! On behalf of Northside Catholic Academy, thank you for taking the time to learn more about us. If you’re considering school options we invite you to visit us to see first-hand the dynamic learning environment and welcoming community that is NCA. 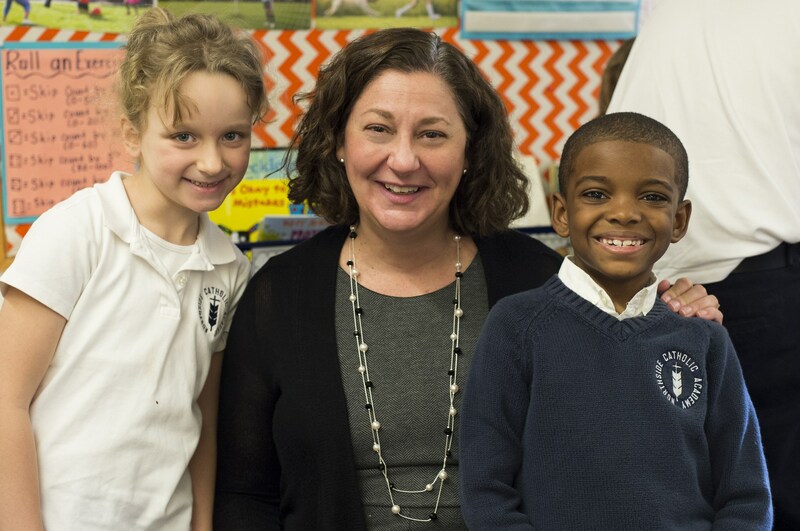 As a National Blue Ribbon School, NCA is one of the highest performing schools in the nation. Our academic program continually produces strong student achievement as evidenced by the Blue Ribbon Award, our high standardized test scores, and the fact that our graduates are accepted into Chicago’s top public and private high schools every year. At NCA, we are committed to educating the whole child: intellectually, socially, physically and spiritually. At the heart of this is our Catholic faith and beliefs that guide everything we do at NCA. Our approach is one that includes engaging, hands-on learning experiences, as well as teaching our students values that will last a lifetime. Values like kindness, respect, curiosity, creativity, responsibility, leadership, compassion and service. We are very proud of our academic successes here at NCA, but that isn’t the only thing we feel sets us apart from other schools. Everyone agrees that our community is the thing that truly makes NCA special and unique. We are blessed with an amazing, dedicated and caring group of teachers and staff. As a regional Catholic school, we have six parishes that serve as our partners in educating children in our neighborhoods. Parents are actively involved, supporting the students and teachers, as well as each other. It is a vibrant community that always rises to the occasion in times of need and in times of celebration. I hope you will visit us soon and consider becoming part of something greater at Northside Catholic Academy.